Spencer J. McCallie III '55, former headmaster and grandson of one of the school's co-founders, spoke at McCallie Day on September 20, 2010. 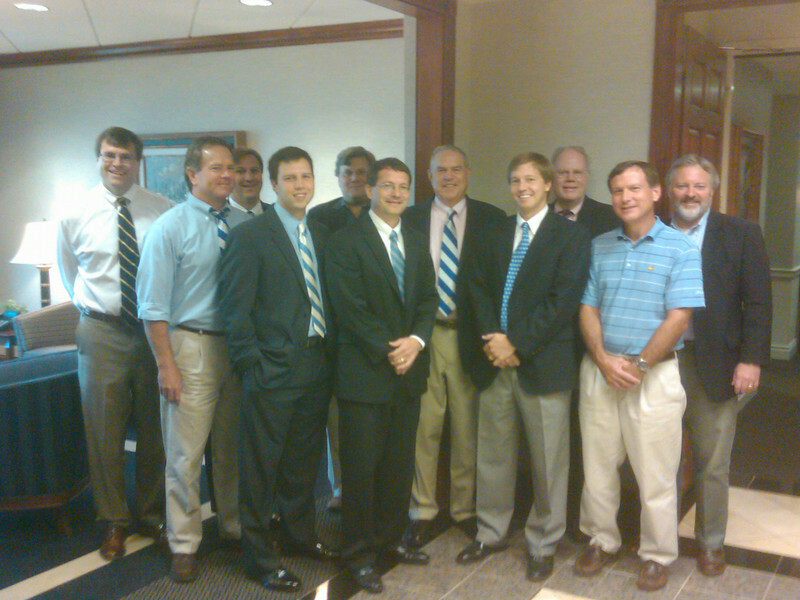 We encouraged alumni and friends of the school to send us pictures of them and their loved ones showing their "True Blue" colors, and many of the pictures sent our way are included here and on Facebook - http://www.facebook.com/mccallieschool - so check them out! If you have a picture you'd like to add to the mix, feel free to send it or post it directly to Facebook!